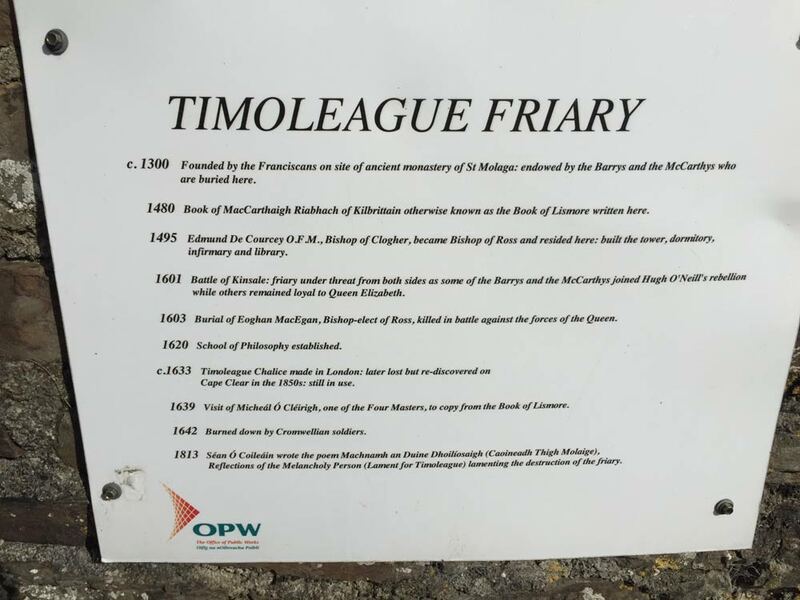 We arrived at Timoleague Friary, more commonly known as Timoleague Abbey, on a beautiful day. 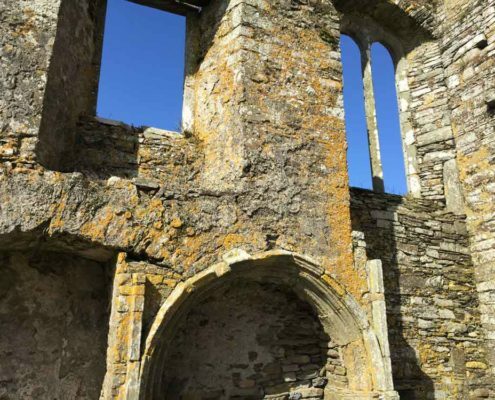 The impressive ruins stood out against the blue skies. 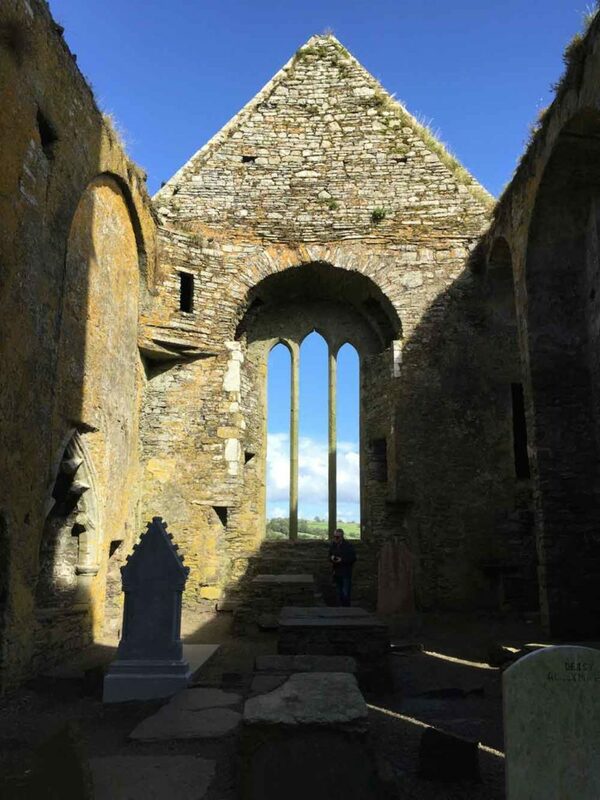 Despite the lovely weather we were almost alone for most of our time at the Abbey which allowed me to really get the sense of peace that prevailed. 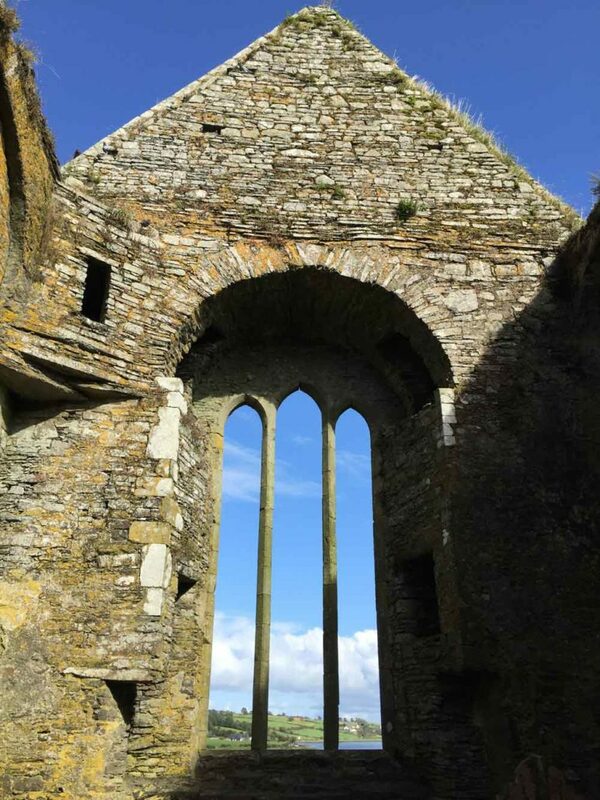 The Franciscan Abbey dates from the 13th century and is situated at the edge of a long sea inlet. 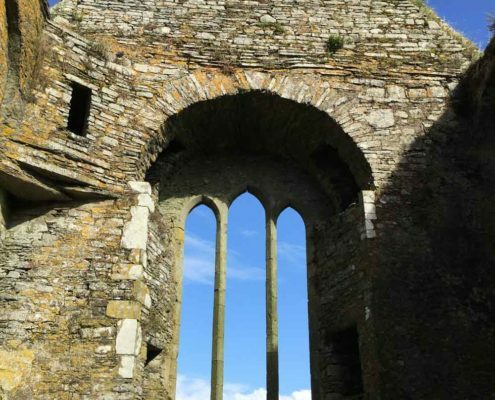 The abbey was built on the site of a monastic settlement founded by Saint Molaga in the 6th century after which Timoleague is named. 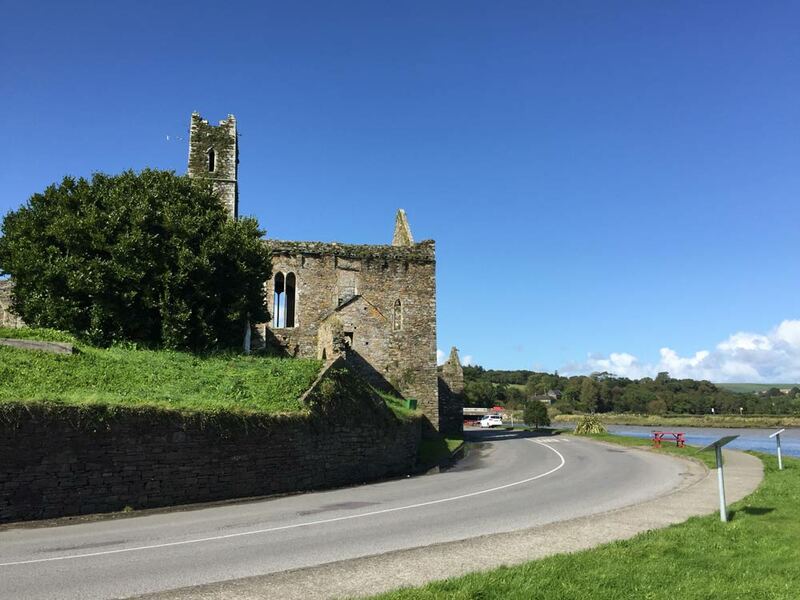 The village of Timoleague is a pleasant spot to take a stroll and has a good few restaurants and pubs. There is a ten day harvest festival each August with live music gigs and a fun fair. 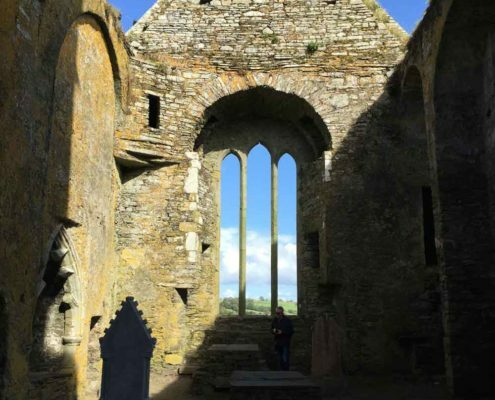 Take a look at the video of the area on our main page about the Timoleague Abbey. 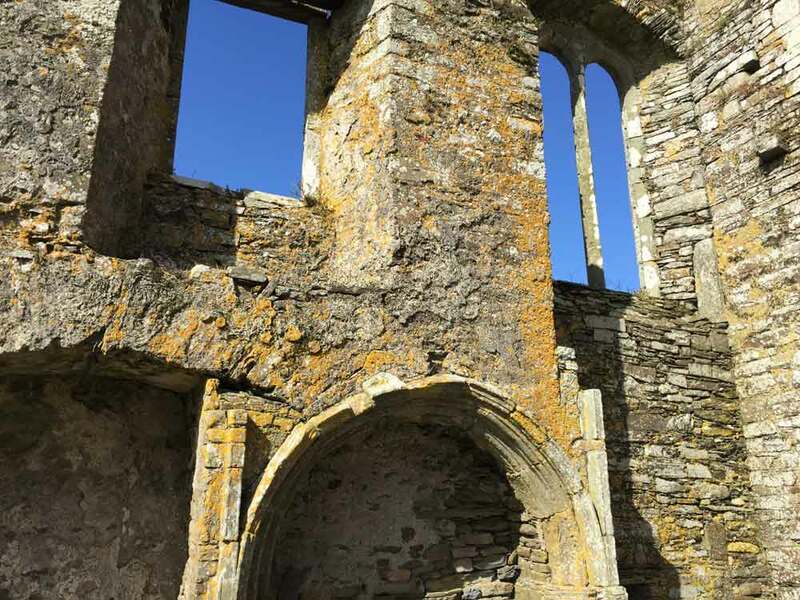 Within the ruins of Timoleague Friary, inside the sacristy, we spotted a small stone with a hollow in the centre in which rain water had collected. 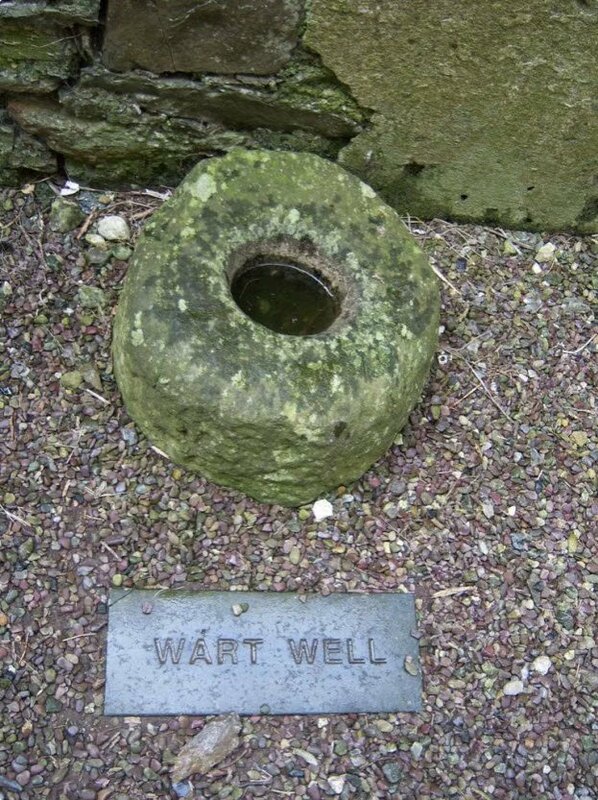 As the photo shows it was indicated as a ‘Wart Well’. I had heard of such holy wells and, intrigued, I dipped my thumb into the well. I had a small but annoying wart on my thumb for years and had tried many lotions and potions to remove it. I thought no more of it until two weeks later when I noticed that the wart was completely gone! 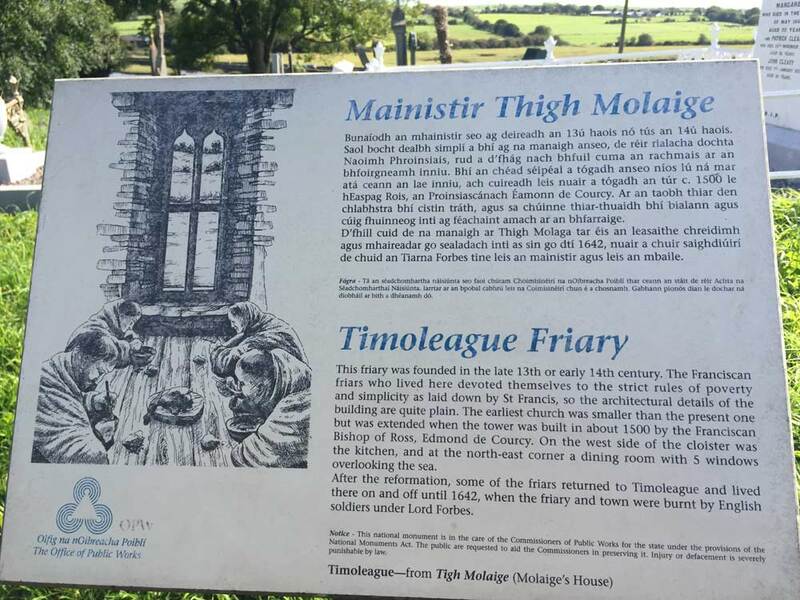 If you are interested in holy wells then Timoleague seems to be the place to go with no fewer than three others in the vicinity. 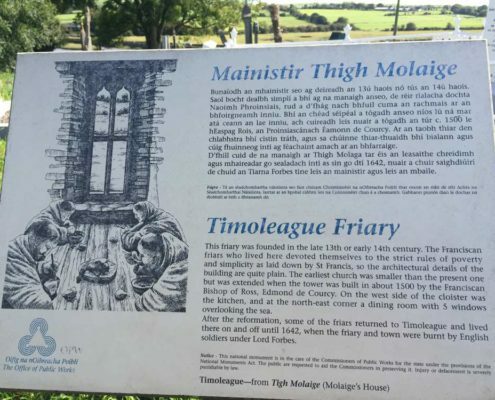 Tobar Mhuire (Our Lady’s Well), Tobar n Súl (known to cure eye ailments) and Tober na Trinoda (Holy Trinity Well). 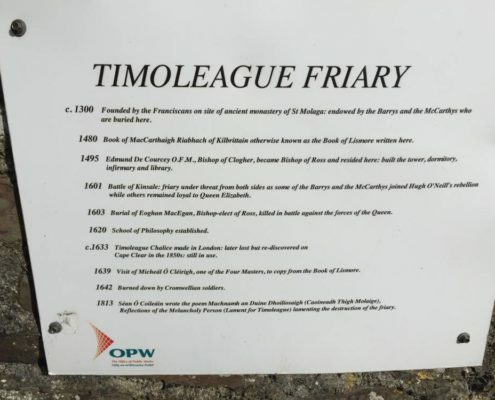 You can read more about these holy wells in this interesting article on the Holy Wells of Cork website https://holywellsofcork.com/2016/02/25/four-very-different-wells-around-timoleague/.